Why feed your dog raw food? Dogs are carnivores. As such, they should be eating a diet of predominantly meat. Equally as important, it should be raw. Animals don’t cook their foods. Your dog needs raw muscle meat, organs, fatty tissue, and bones. Carbohydrates such as fruits, veggies, and grains may be nutritious for omnivores and herbivores, but carnivores don’t benefit from these nutrients in the same way that we do. What’s the point of feeding your dog these foods if they cannot properly digest and assimilate the nutrition from them? Again, fruits and veggies are not bad; they contain many wonderful nutrients. They won’t make your dogs sick or harm them. The problem lies in the fact that they digest them too quickly to properly absorb the vital nutrients they need to stay in optimal condition. Your dogs were meant to eat raw foods. They have the digestive system, stomach acid, and bacteria killing agents for a reason: to handle these foods. Cooking destroys the vitamin, mineral, and enzyme content that is needed! Also beware; cooked bones are more likely to splinter and cause hazards for your dog. They are equipped to consume raw foods and should only be eating raw meat and bones. Processed foods are unhealthy and are not good for any living animal. They are poor nutrition at best. What can you expect after adopting a raw diet for your furry friend? Dogs fed commercial pet food often have poor dental hygiene. The starchy ingredients cause tartar buildup and eventually dental disease. Dental disease in dogs is a serious matter. It can lead to abscessed roots and teeth that need to be extracted. Infections in the mouth can also occur that can cause more serious secondary infections elsewhere in the body. In addition, any of these scenarios from a simple teeth cleaning to a more serious dental procedure are usually quite costly and are a financial burden on most pet owners. In order to avoid dental issues for dogs fed traditional pet food, proper preventative care is given including brushing teeth, providing dental chews, and other recreational bones. To prove just how damaging the effects are of a commercial diet are, look at the dental health of wild wolves and dogs. They don’t need to brush their teeth to be free of tartar buildup. They don’t fall victim to infections or other dental ailments that require immediate attention. This is because they eat their natural diet. Your dog will have pearly, white teeth when fed raw. It will take no work on your part. You will not be required to provide fancy dental chews or brush your dog’s teeth. You won’t need to visit the vet and pay for pricey dental work. How is that possible? Every time they rip, shred, tear, and crunch down on bones they are receiving a thorough teeth cleaning. Crunching and grinding bones naturally scrapes and removes plague and tartar from the teeth. 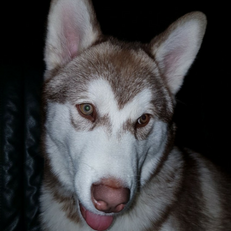 Many dogs fed commercial diets have a dull, lackluster appearance to their coats. As our damaged hair can look lifeless, and proper care and treatments can leave it luxurious and smooth, your dog’s coat will be revived on a raw diet. It will be smooth and shiny. You will see an improvement in their coat once they transition to raw feeding. The oily feeling and odor will disappear and a much nicer, smoother coat will emerge. Ask any raw feeder. Another issue many dogs encounter on commercial diets is skin problems. Some dogs have dry, flaky skin. Others have itchy skin and cannot seem to stop scratching. Even worse, other dogs can contact mange and other more serious skin conditions. Though skin conditions might not be entirely due to diet, dogs with healthier immune systems (as a result of raw feeding) will have improved skin and coats. Allergies can be considered a disease of civilization because it’s an ailment that is completely man made and stems from processed pet food. While some dogs may be allergic to other environmental factors, most allergies are food related. Food allergies can cause digestibility issues, skin issues, reoccurring ear and eye infections and much more. Some dogs are even allergic to cooked proteins but not in the raw form! Once on a raw diet, most dog owners are amazed to see their dog’s previous allergies clear up completely. Many people are under the false pretense that animals are supposed to smell bad. Not true! Animals in good health do not have bad odours. Owners of raw fed dogs report that their breath and coats are odour free. Don’t take this wrong, your dog will not smell like roses but after adopting a raw diet, your dogs will lose that overall funky dog smell. It’s more about the absence of a smell. Many owners of raw fed dogs also report that their dogs pass less gas as well. While I’m sure most dog owners have no complaints about their dog’s lack of energy and zest for life, many raw fed dog owners report that their dogs have an improved energy and vitality after switching to raw. They claim that their dogs have much more energy and older dogs act like puppies once again. Your dog receives a tremendous amount of mental stimulation and physical exercise when eating raw. Ripping, shredding, and tearing muscle meat as well as crushing bones works out the jaw and neck muscles. Though they gain more energy overall, one of the best things about raw feeding is how most dogs easily tire after mealtime and seem quite satisfied and ready to chill out for a bit. This is because they have to expend a lot of energy ripping, tearing, and crunching up complicated pieces of meat. In addition, you’ll also notice how much more excited your dog gets at meal times and how much they enjoy their new food. This is because they are engaging in a very primal and instinctual activity. Chewing bones and ripping apart meat actually releases endorphins in your pet. Because your dog is receiving so much mental and physical exercise during meal times, they will be more satisfied and less likely to engage in destruction behaviors out of boredom. The main benefit of raw feeding is by far a healthier and happier dog. When dogs eat food that is biologically appropriate, they will absorb all the nutrients from their food making their immune system, digestive system, and other bodily functions stronger. This will pay off over time as your dog will need less veterinary care and will avoid contracting more serious diseases as they age. 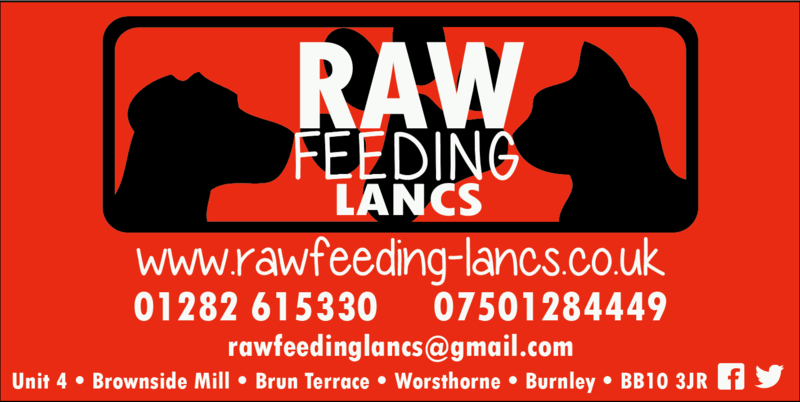 © Copyright RAW FEEDING LANCS ONLINE SHOP All rights reserved.